Toadvine Enterprises, Inc. is excited about serving the Tennessee sports market. Toadvine has been serving Kentucky for 32 years and is now able to bring its full line of Porter and Gill sports equipment products to all of Tennessee, Southern Ohio, and Indiana. Toadvine Enterprises will take your requirement for sporting facilities, stand alone equipment purchases, and ongoing support through inspection, repair, and maintenance, and provide you with conceptual design, build, and installation solutions. Porter and Gill Sports is the largest manufacturer of sporting facilities equipment in the United States. Porter and Gill athletics provides sporting equipment ranging from basketball goals, volleyball systems, soccer goals, field goal posts, everything track and field, wall padding, floor covers, field hockey goals, PE equipment, and much more. 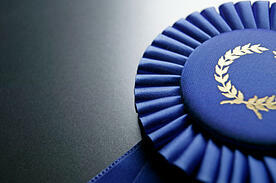 Porter has helped revolutionize the sport facilities world with its quality products and competitive prices. With its knowledge and expertise in the sports equipment industry, Toadvine Enterprises will assist you in any sports facility project, no matter the size. Whether the job is for a university or elementary school, Toadvine can handle the job and help give recommendations that will best suit your facility. Toadvine Enterprises has helped both communities and schools create and maintain their sporting equipment and athletic facilities. The expertise and knowledge of our sales teams regarding gymnasiums and football stadiums, along with product knowledge of track and field equipment, will help deliver the best solutions to meet your needs. Toadvine can serve you where you are. If you want to ask us a question, get a quote, or discuss a specific piece of equipment, a call to our sales department can address your needs. You can also go to our website and have a conversation with us. Please call us at 1-877-211-6925. During the months of March and April, Toadvine will be offering an additional 5-10% discount on products from Porter and Gill Athletics! Feel free to call and speak to a representative about any Porter and Gill product or to receive a free quote! 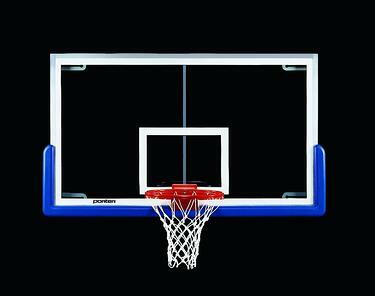 Selecting the right basketball goal can be a slam-dunk if you know what you are looking for before you start shopping. It's also helpful to know what options are available when putting together a complete package for your basketball facility. The most widely used basketball goal in the industry for indoor basketball is the center strut rectangular glass backboard. This type of a goal is mounted to the ceiling in the center of the goal with a 3 or 4-point support attachment. Ceilings with heights from 25-60 feet can be accommodated with this goal. Since its inception in the 1950s, the center strut backboard has been improved upon and made more strong and durable over the years. It is constructed with a tubular steel brace and one-half inch tempered glass. The steel mounted plate on the support attachment creates incredible backboard strength and prevents backboard damage. This goal is made for all types of sporting audiences including, elementary, high school, college, church and recreational players. Generally, this 72x42 inch goal weighs approximately 240 pounds. 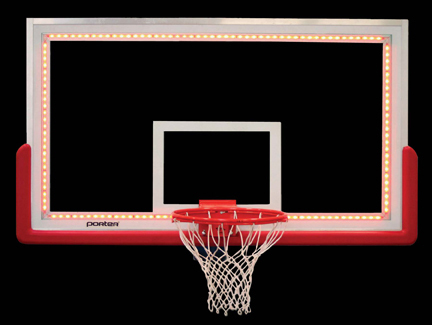 To add to the aesthetically pleasing look of the center strut backboard, the addition of LED lights can magnify the experience of your sporting event. LED lights are neatly contained and mounted inside the backboard perimeter. The lights are designed cleanly so that they do not block the view from behind the goal or interfere with play. These lights are used in conjunction with a light synchronizer that connects the LED lights to the facility shot clock, main scoreboard and power supplies. Lights turn off and on with a signal sent from the scoreboard or shot clock to indicate when each period of playing time ends. They also illuminate when the game clock display is zero or when the end of game horn or the shot clock horn sounds. These timing system enhancers are also helpful to officials who can more easily determine validity of last minute shots at the buzzer. Having a state-of-the-art basketball goal can certainly enhance the overall experience of your school fans, as they can be more visually involved in the specific timing of the game. If you want to know whether these basketball backboard items will meet your school’s needs contact Toadvine, your sporting equipment provider for Kentucky, Indiana, Tennessee, and Ohio. Generations back, teams would throw all their basketballs into duffle bags and canvas sacks, but now we have the professional look and ease of cages and carts that make storage and transporting dozens of basketballs easy. 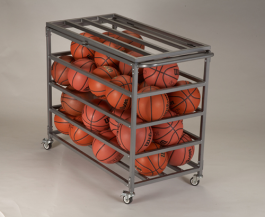 The 35 ball capacity ball cage from Porter Athletic (93710) is made with a steel frame and has casters that swivel, making it easy for anyone to move from storage to the court. The lid locks to keep basketballs secure when you want to keep them contained. We also carry heavy-duty ball carts that come in 15 and 30 ball capacity (single cart-93700, double cart-93701). These carts also have steel frames with swivel casters for easy transportation and storage. Are you getting ready for the basketball tournaments? 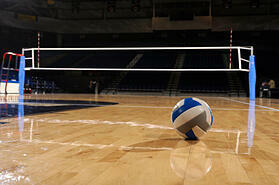 Pick up a cart for each end of the court and add to the professionalism of your facility. At the same time, make life a little easier for your equipment managers. Don't forget the sketch clipboards for the coach (3771). You always have to be ready to draw up the game winning play with five seconds left on the clock. Call us today with your questions and for details on pricing (502) 241-6010. Porter has announced its new line of winches that can accommodate your curtain and gymnasium dividers. Tired of the struggle of closing and opening curtains in your facility? These improved winches are the perfect solution. They are easy to use and designed to work with all of Porter's existing control systems. The 00709000 is a listed winch that comes with a full 5 year warranty. This winch will be able to span the current range of Porter backstops up to 40' attachment height. This winch has the ability to be raised or lowered manually with a battery-operated drill or socket for install or emergency situations. Porter's goal is to be able to continue to increase its winch line so it can grow the custom engineered product offerings and capabilities. Keep your eyes out for winches that will allow them to design bigger, more unique systems. 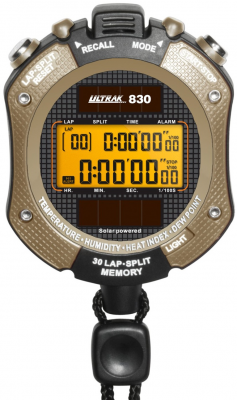 Gill Athletics has an entire web page of new products, and one specific product we wanted to highlight is the Ultrak 830 Heat Index. Coaches who are tracking the actual heat index on the field can measure, in real time, if the conditions are safe for the players. This is a great tool and should be a part of every coach's on-field toolbox. With record-setting temperatures this summer, coaches are taking their role seriously to keep players safe. This new tool from Gill Athletics should be a must for every athletic director. Let us at Toadvine Enterprises know if you'd like more information on either of these new products. Revolutionary design. The Powr-Rib II gets its name from its design. The volleyball end standards are constructed of high strength, lightweight aluminum extrusion which reduces the weight of the system incredibly. This allows for the ease of installation by the end user. Two reinforcing ribs are centered throughout the entire length of the uprights to increase strength and durability. The top and bottoms of the up rights are fitted with custom molded caps to protect the finish of the floor. Quick-release tension straps. This helps to keep the cable from fraying and kinking, by not having to wrap around the winch drum. 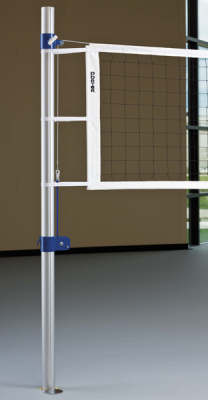 The functional, multi-sport use and the sliding collar allow for this system to be used in all men’s, women’s, and junior USVBA competition-height settings. This system can go further with its ability to also be converted into a tennis net system. Height adjustment lock and net height markings. Collar instantly locks into place using a pressure lock T-handle which provides a positive locking feature at any height on the upright. The Powr-Winch net tension system is a positive disc brake release device which provides the most durable, safe, and simple net attachment system available. Call Toadvine Enterprises today at 502.241.6010 to find out more about our athletic equipment and pricing on the Powr-Rib II Volleyball System! Should I replace my basketball equipment? Is your basketball rim loose? If it no longer has the flex your players want, one option you might want to consider is trying Porters new Torq Flex 180. This basketball rim flexes around a 180 degree arc at the front of the rim, at the side, and everywhere in-between. This goals is a perfect solution for most schools' main court competition. The Torq-Flex 180 Goal is the proper rim and provides the necessary elasticity and ball rebound characteristics to keep your game play fair. Also, each goal includes Porters Anti-Whip net. Do you have a height adjuster system that is hard to handle? If yours has too much wiggle in it, one option we provide is electric and manual height adjusters, which give your goals the strength and durability for all levels of play. Are the pads around your backboard falling off or missing? If so, they need to be replaced. Porter offers revolutionary bolt-on padding that keeps your players safe. It also comes in an assortment of colors to match your school. If your system needs replacing, we encourage you to give us a call at 502.241.6010. You can even request a quote through our online form.